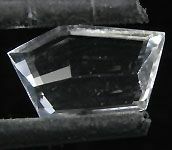 Montebrasite is the Hydroxyl analogue of Amblygonite and are virtually impossible to distinguish visually, and almost always need chemical identification. 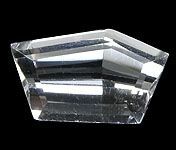 Fine gem crystals of Montebrasite are not very common, despite the fact that the crystals can be huge. 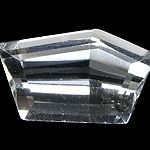 Most gem quality Montebrasite crystals are small, and clean stones are not often very large. 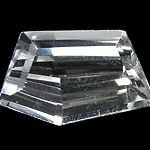 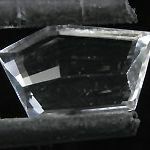 This stone is a very good sized Montebrasite gem with nearly eye clean clarity and a "Freeform" cut. 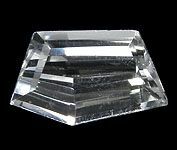 One does not encounter gems of this size and quality often on the market, and it would make a great addition to a colorless stone collection or perhaps a stone to add to a Brazilian gem suite.